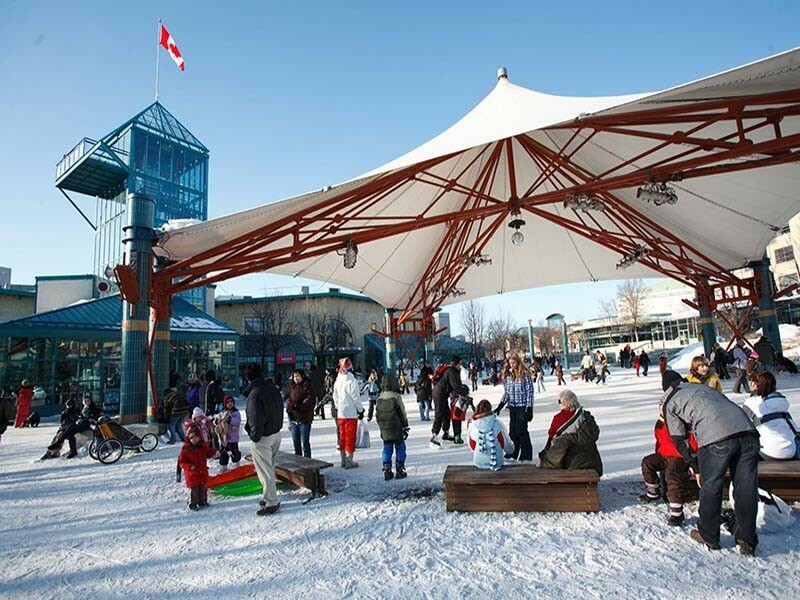 In the winter, The Forks Market Plaza is home to an artificially cooled skating rink, Winnipeg’s own version of Rockefeller Centre. 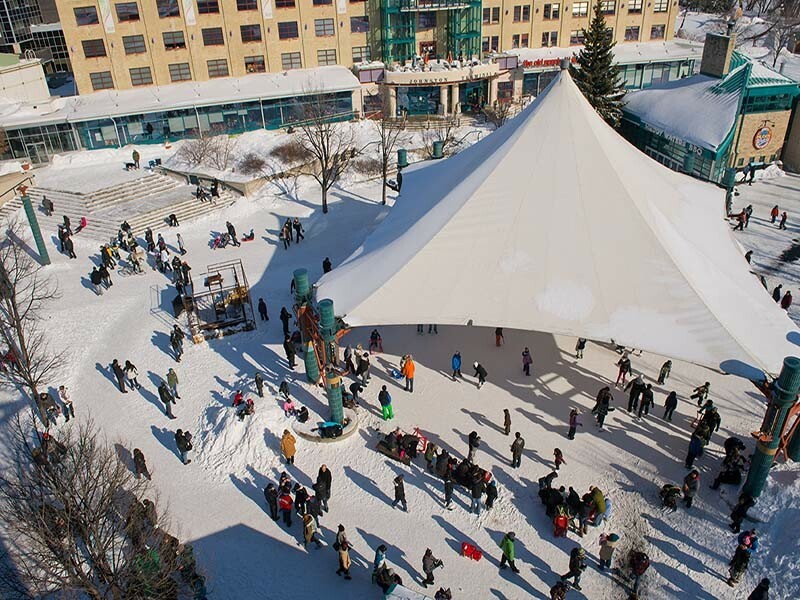 Families, tourists and lovers ice skate for free to piped-in music under the lovely canopy and twinkling lights. Come summer, The Forks Market Plaza features fountains, canopies, several open performance spaces and incomparable patios.